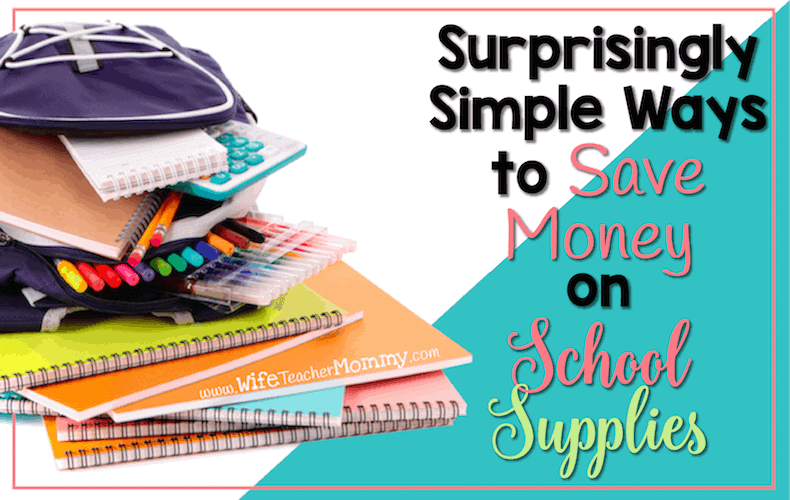 Inside: Be sure to check out our favorite teaching supplies on Amazon! 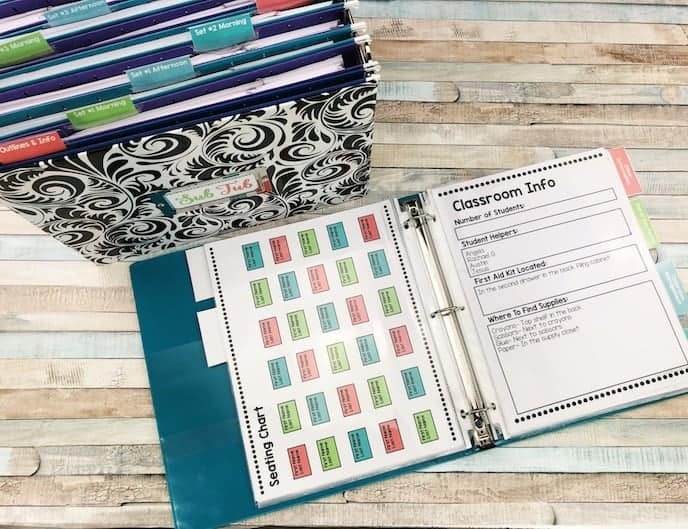 Looking for teacher supplies or organizational tools? 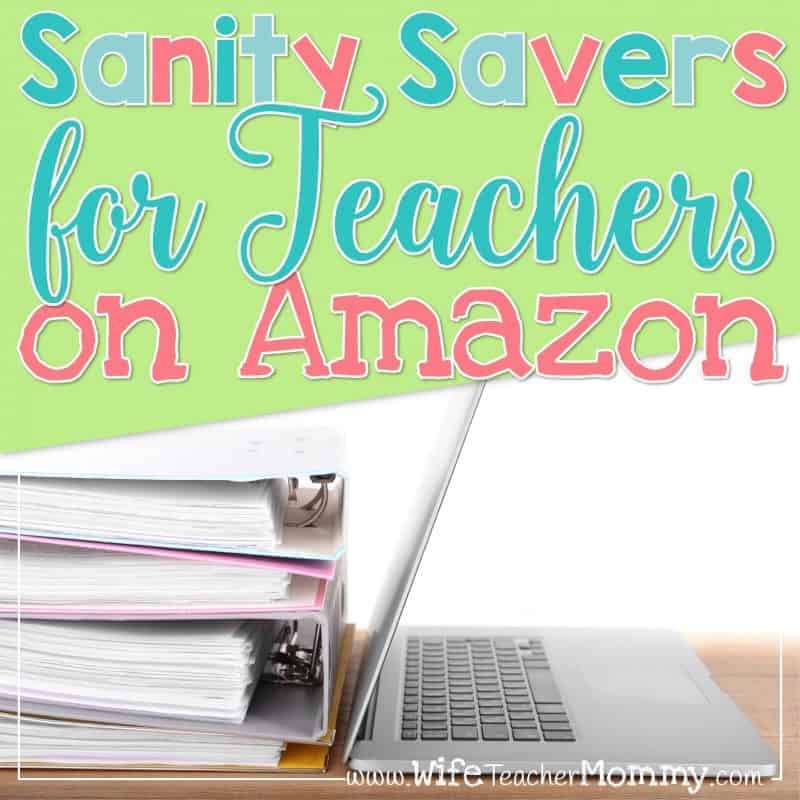 While there’s lots of teachers who love going to Target to buy their teacher supplies in person, some of us may be more Amazon Prime teachers. Okay, I admit, I have a love for both. But with Amazon, it’s just SO easy to click a few buttons and have your teacher supplies delivered right to your doorstep. Disclaimer: This post contains affiliate links. See disclosure for details. They also have good prices on everything, so it’s a great way to save money on school supplies. It’s really a one stop shop and everything is delivered to your door. That’s why Amazon is one of my favorite places to get teaching supplies…. as well as pretty much everything else! 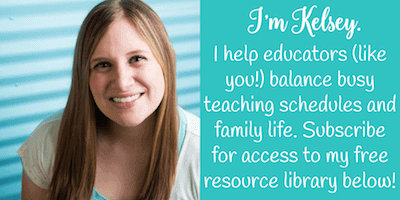 I’m also excited because I just set up my own Amazon teacher shop. This means that I have my own page on Amazon dedicated to sharing my FAVORITE teacher supplies & goodies with you! I’ll be updating the page regularly, so be sure to stop by whenever you’re looking for new teacher stuff. I can’t even begin to describe how much I love the Scotch Thermal Laminator. It is one of my favorite teaching supplies on Amazon. I wish I had it when I was teaching! (I’m currently home with my kids). But I use it ALL the time for my church class that I teach and for teaching my kids at home. And it’s much easier than heading over to the teacher supply store or using the laminators at school. If you grab the laminator, be sure not to forget the laminating sheets. Seriously… where has this been all my life. HOW COOL is this? Be sure to check out the crayon sharpener! Also, the regular electric pencil sharpeners are pretty awesome, too. 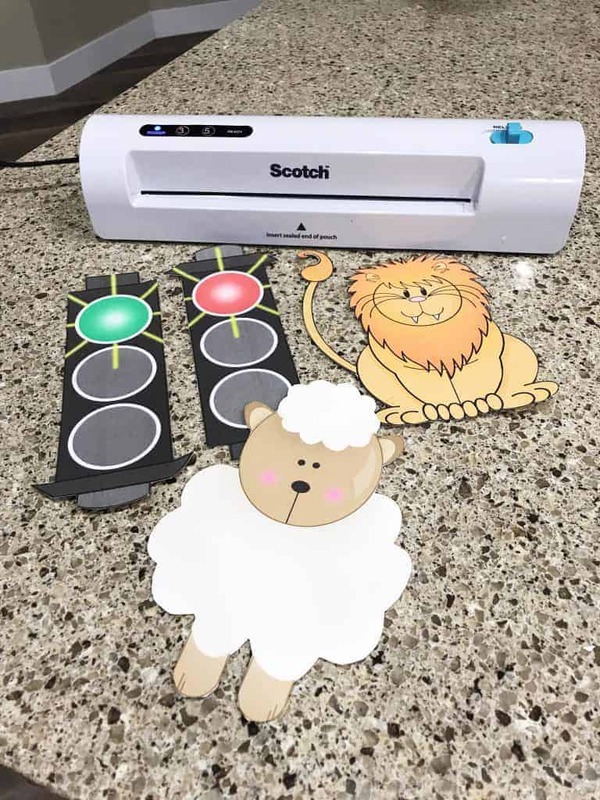 This is one of the coolest teaching supplies on Amazon that we found. If you’re using them with your kids at home, you can also use Amazon FreeTime Unlimited (Free Trial) to give your kids access to TONS of kid stuff and limit their access to anything else, which is what we do. I love it because I don’t have to worry about content that the kids may run into on the internet. You can also set timers for how long the kids can be using the tablet before they are done for the day. These can be used for so many things! Time centers, silent reading, free time, and more! The possibilities are endless. You can get timers for different time increments, as well. 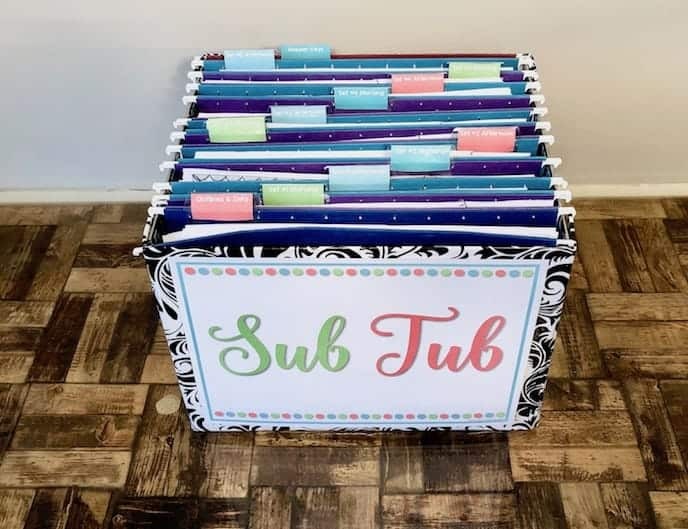 Of course, this is something I’m passionate about as I’ve created several substitute binders and Ready To Go Sub Plans! 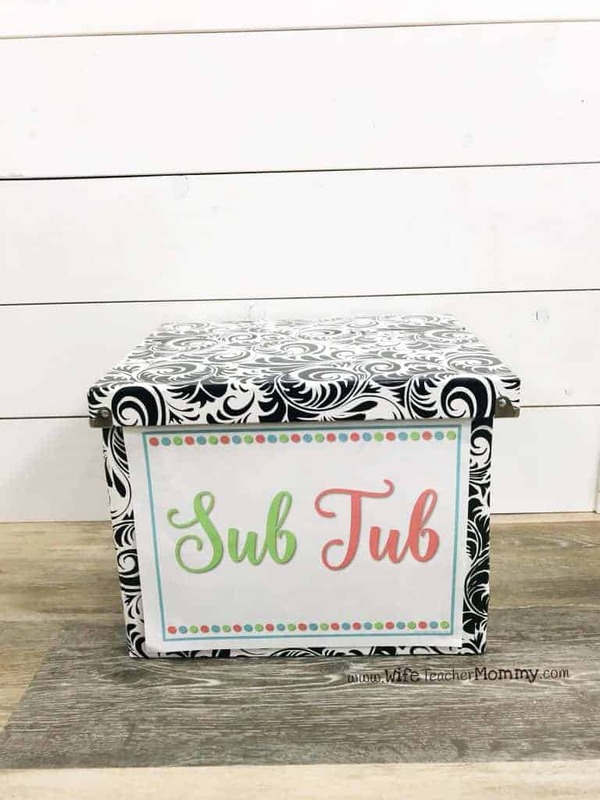 I always get asked where I got my cute sub tub container I use in all my blog posts and Facebook ads (pictured below). Of course…. it’s from Amazon! I also bought my hanging file folders, sheet protectors, and binders on Amazon, too. There’s lots of fun teaching apparel on Amazon as well… both for you AND your kids! Look at these cute options below. Some of these crack me up! 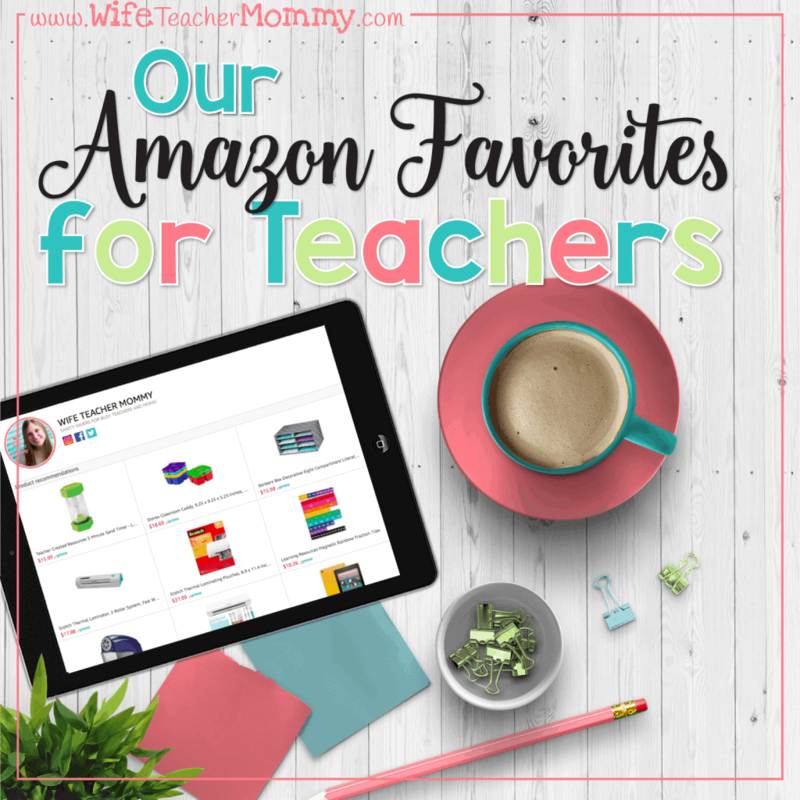 All of our Favorite Teaching Supplies on Amazon! But like I said, this is just a small glimpse of the items we love. 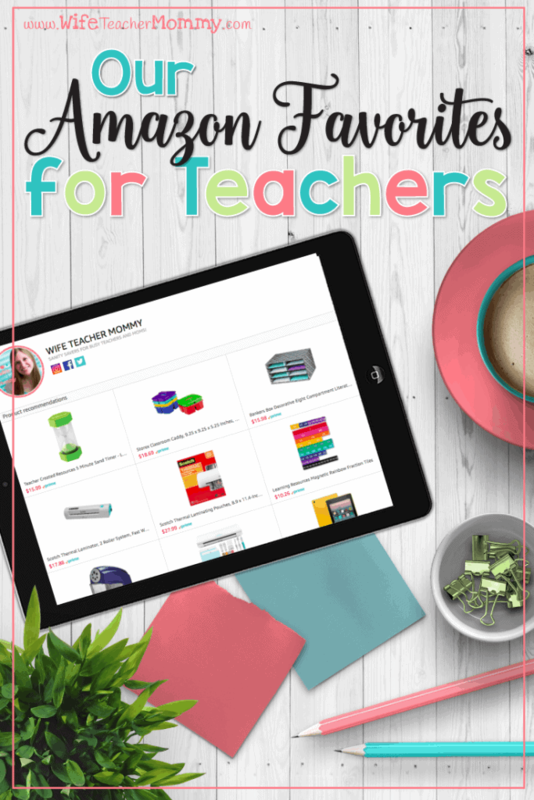 We’ll be adding items regularly to our Amazon teacher store! It’s super easy to remember. Just go to Amazon.com/Shop/WifeTeacherMommy. That’s it… so be sure to check every now and then.